- Get ready to Experience the crazy thrill of fast paced Moto bike shooting & racing action. 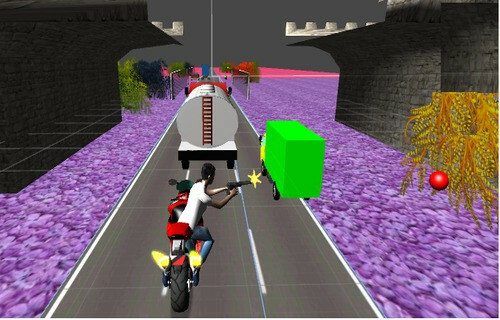 - Shoot & blast the enemy bikes & vehicles. - Collect coins & unlock new characters. 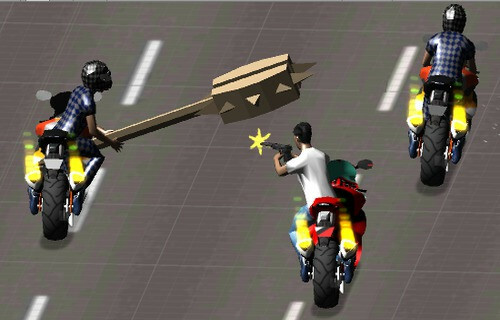 - Control your high speed Moto bike through bomb explosions,enemies & traffic. 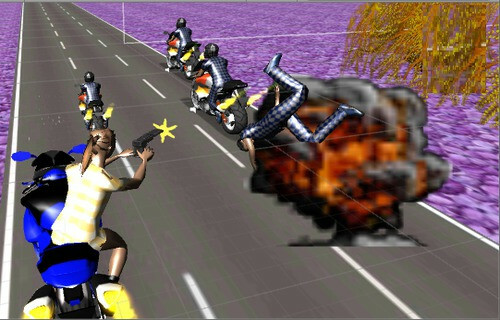 - Different categories - Race Shooter, Crazy Shooter, Traffic Shooter.